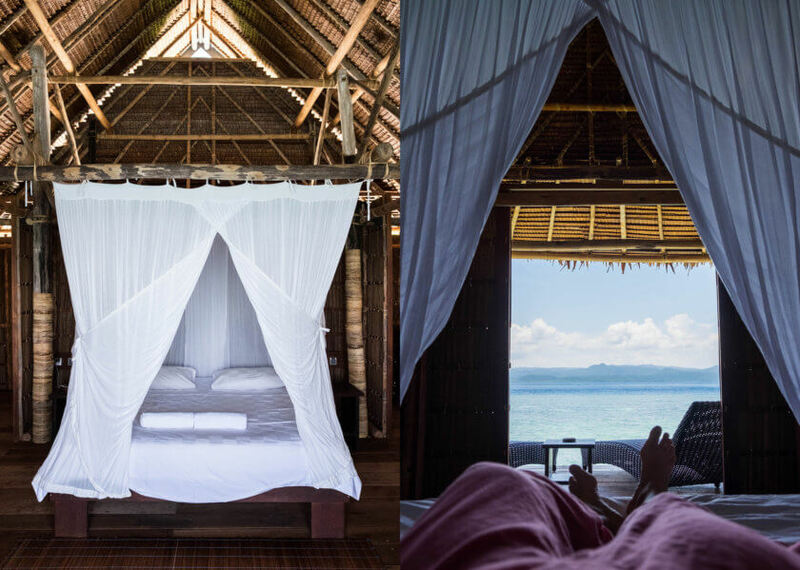 Travelettes » » Is this Indonesia’s best kept secret? 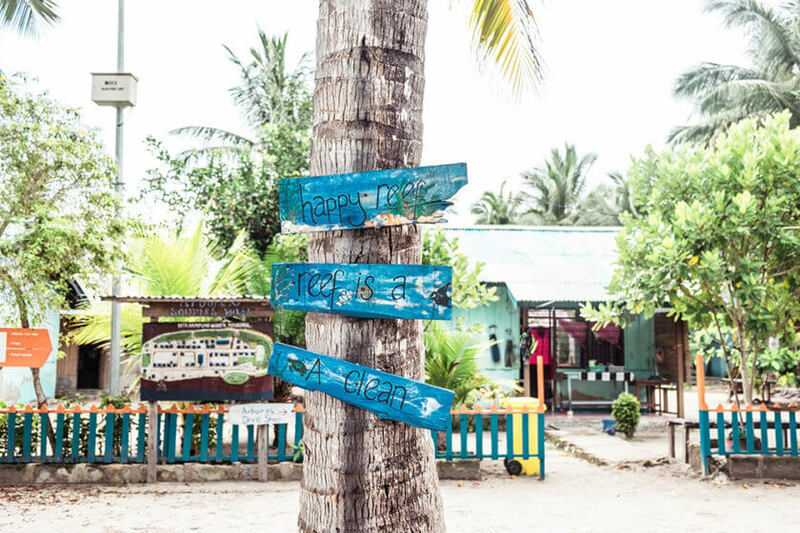 Is this Indonesia’s best kept secret? I don’t have a travel bucket list. 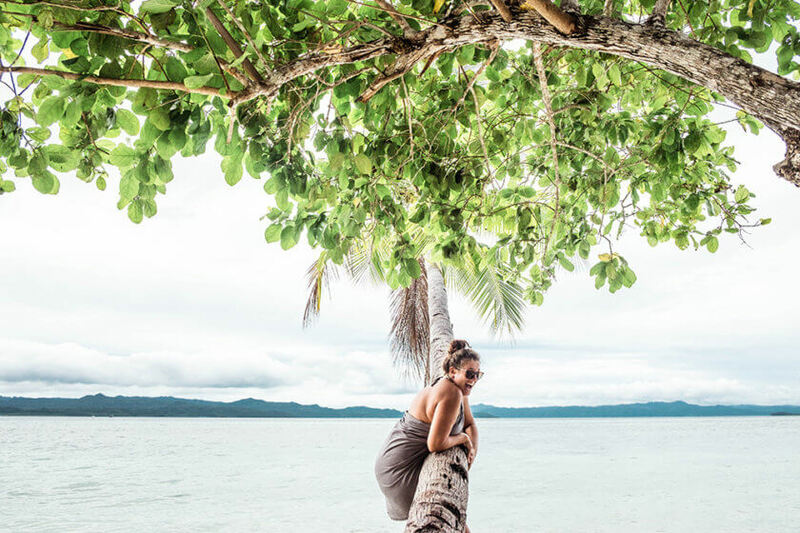 The reason for that is quite simple – I can never tick places off for good as I fall in love with countries and want to return over and over again. But if I had one, Raja Ampat would have been in the top ten ever since I started diving. The archipelago lies off the west coast of Papua and is comprised of about 1500 islands, most of them uninhabited. 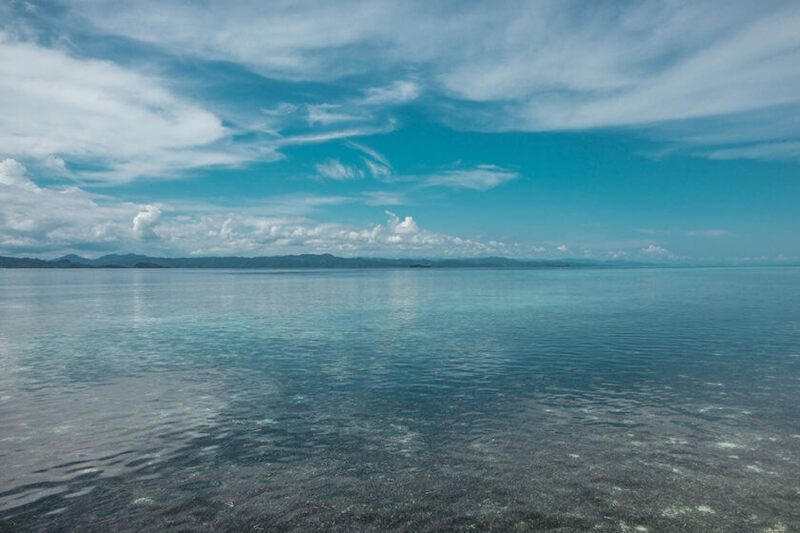 The four main islands Waigeo, Batanta, Salawati, and Misool are responsible for Raja Ampat’s name literally meaning ‘The Four Kings’. It is a paradise of crystal clear water, jungles, and rock islets offering utter seclusion for nature lovers – above or below the surface. 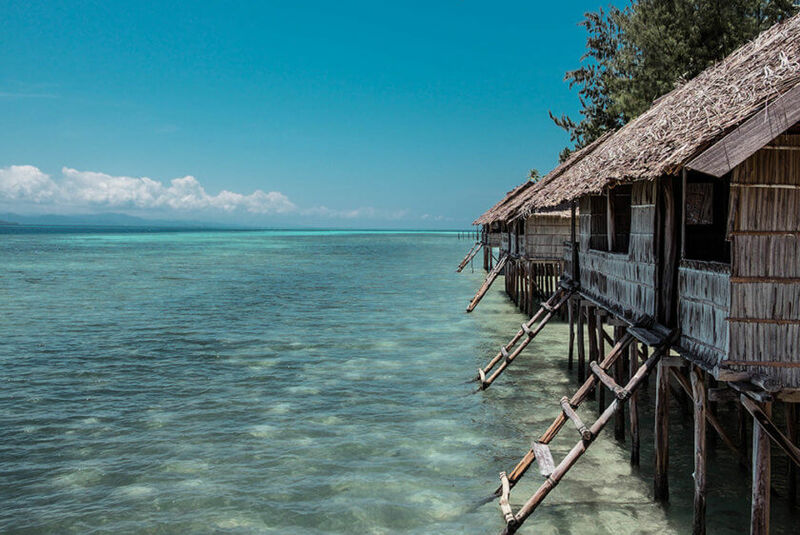 Travelers come here for solitude, to see the elusive birds of paradise, Papuan hospitality or to discover some of the over 1000 fish species. The Nature Conservancy and Conservation International has discovered that around 75% of the world’s species live here! Even before being spoiled with some amazing diving in the Maldives I have been dreaming of seeing at least a few of these species with my own eyes. 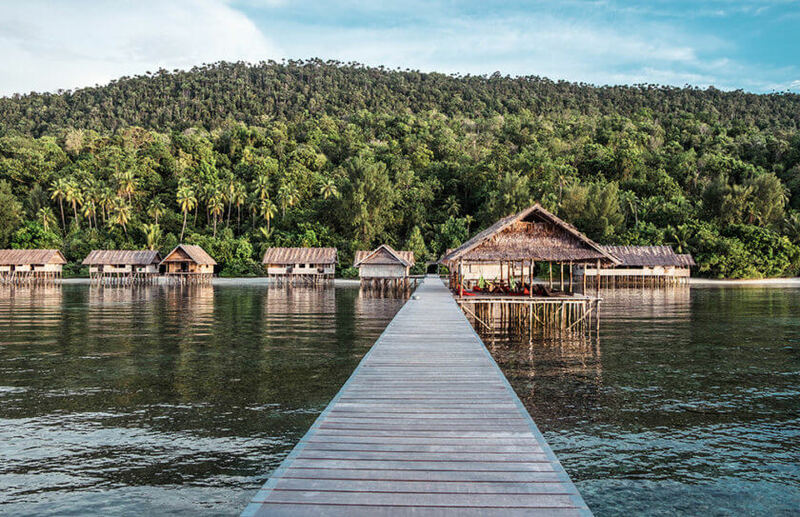 So when Papua Diving on Kri Island invites me to come over for a week during my recent Indonesia trip, I can’t resist. Even getting to ‘The Four Kings’ is an adventure – which is not surprising. If you want a proper paradise you gotta work for it. I am already in Bali but even from here getting to Papua is quite a trip. With an overnight layover in Makassar, I catch a flight to Sorong, one of the entries to Raja Ampat. From here it is another two hours by boat before I arrive in paradise. 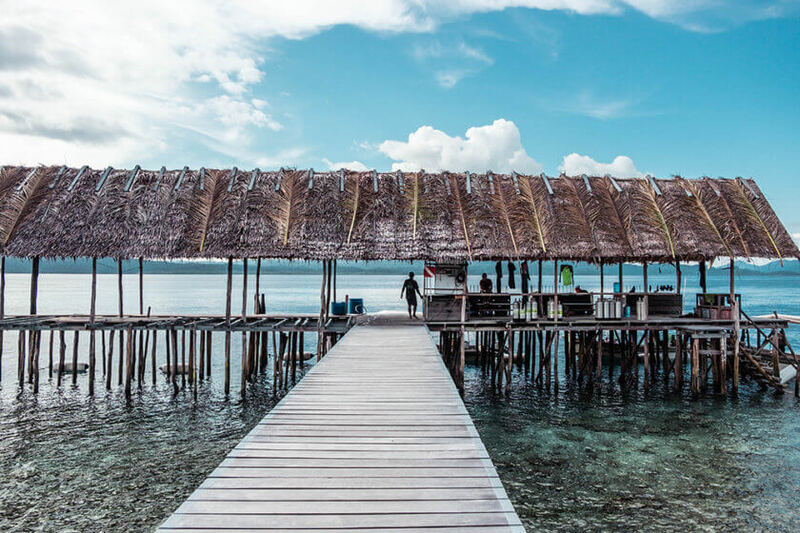 Max Ammer created Kri Eco and its chic sister resort Sorido Bay on Kri Island over 20 years ago, a pioneer in Raja Ampat at this time. 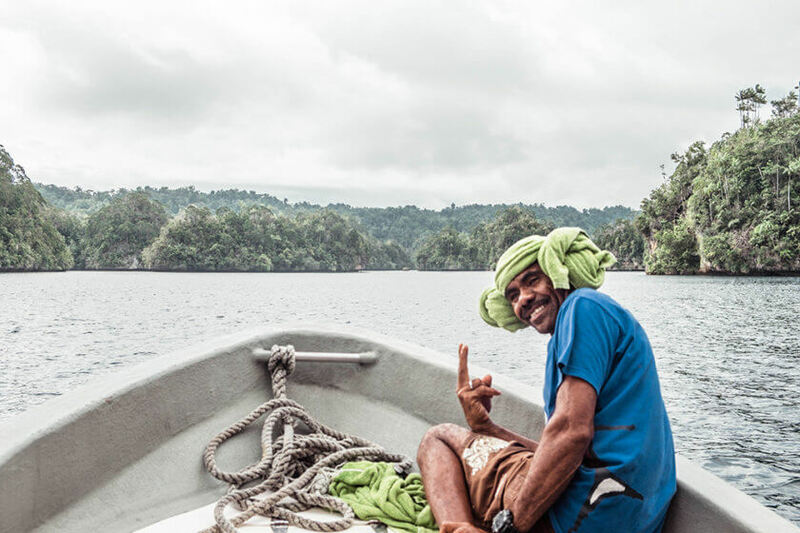 His mission to this day is conservation and bringing sustainable tourism to the area, getting locals involved to preserve their own underwater backyard in order to attract visitors. 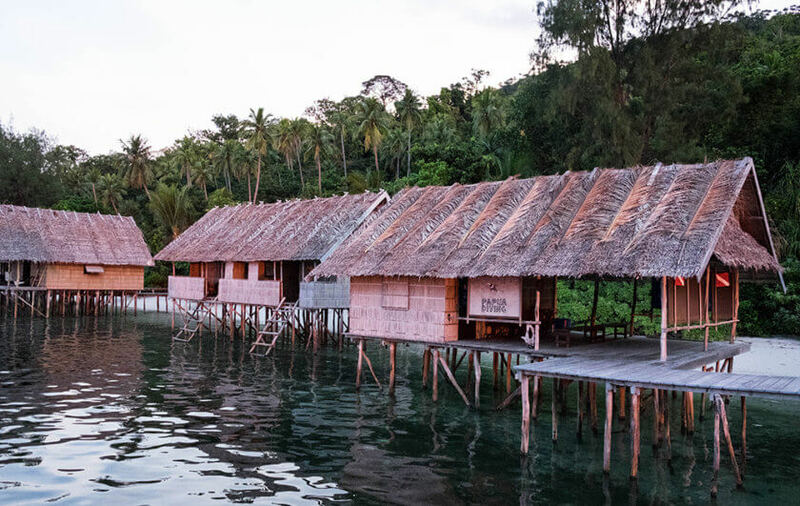 Kri Eco is a true eco-resort with authentic Papuan Cottages. The good news? 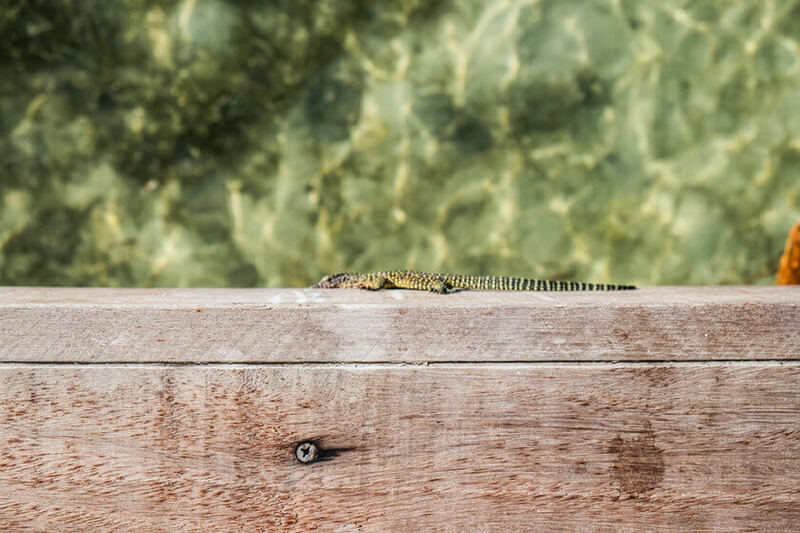 Every cottage is built over water which means you have direct access to the ocean and lots of baby reef tip sharks to swim with in the morning. Unless you book a deluxe cottage, bathroom and toilets are shared and the water is – true eco style – salty-fresh. Not something I mind except for a couple of nights when it is raining cats and dogs and the way to the bathrooms turn into sandy slush. Mind you, sandy feet are all part of the charm. The cottages themselves offer Blue Lagoon romanticism – sea views, ocean sounds, and comfy four-poster beds. 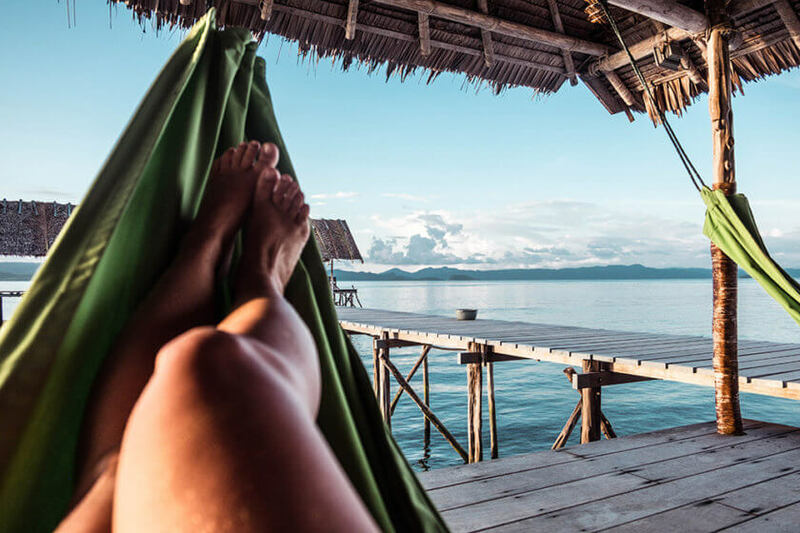 If you aren’t happy with the view from your balcony you can also chill out in a hammock on the main deck for sunset. Raja Ampat does pink hues quite nicely. I, however, have not come for the sunsets but the underwater world. Diving packages include three dives per day and you can even add a sunset or night dive for free. Each diver or group has their own dive guide and boat crew according to certification and experience. As it is off-season I have my very own guide, Dolvinus, who once I tell him that I want to see a pygmy seahorse makes it his mission to find me one. Even though this means for him going through some corals with a fine comb. 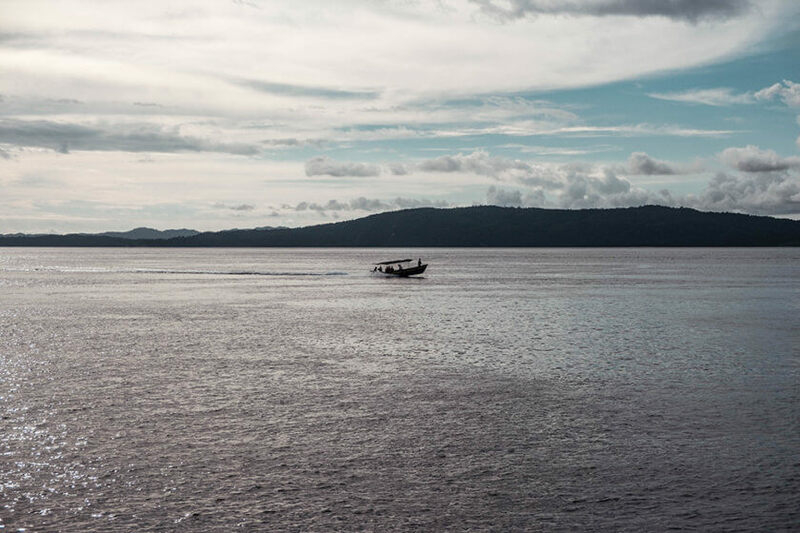 The diving in Raja Ampat is as good as it gets. From big to small, you can see anything and everything. One of its best dive sites, Cape Kri, is just around the corner – it was put on the map when a diver discovered 374 fish species on a single dive! My favorite, however, is The Passage, a unique dive site between the islands of Gam and Waigeo. In this canyon, the water resembles a river more than the ocean and offers an unusual and extraordinarily beautiful marine environment. Mind you, it also comes with a strong set of currents. I am glad that Dolvinus grabs my hand so I can enjoy the ride instead of being swept away, making it one of the best dives of my life. Oh, and have I mentioned there are crocodiles not far away?! But non-divers also shouldn’t miss out on Raja Ampat. 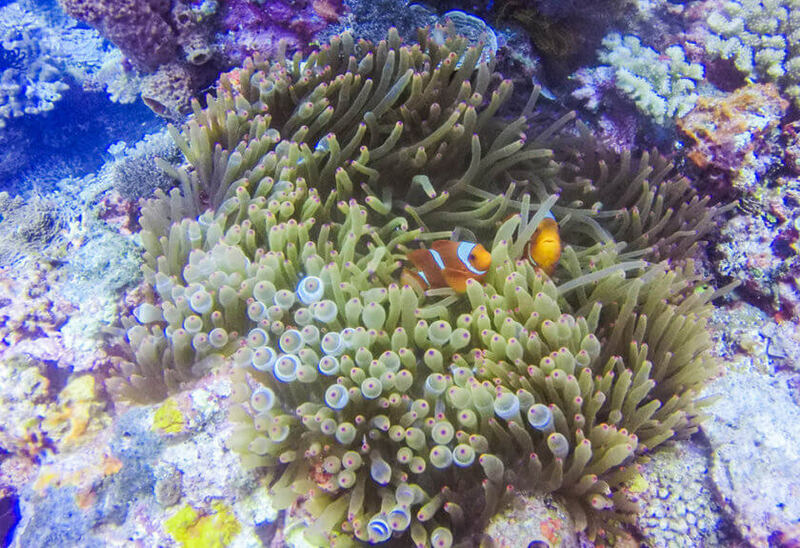 The snorkeling is almost as good as the diving and there is much more to explore. 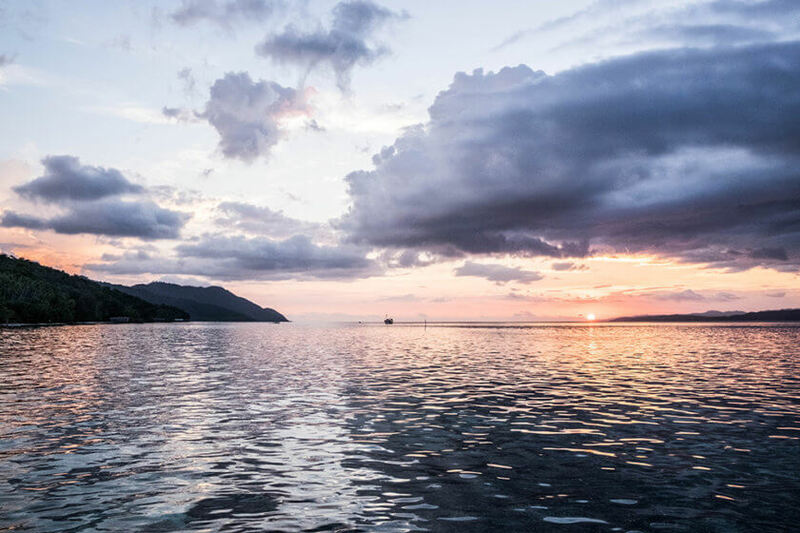 Kri offers free SUP and kayak rentals made by their Kayak4conservation organization that supports local Papuan communities. 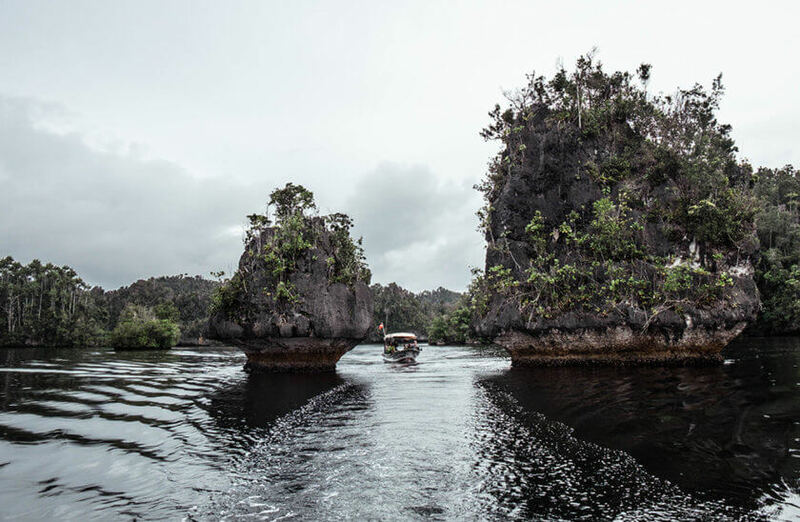 For those who prefer to stay on dry land, Kri offers various excursions in Raja Ampat. 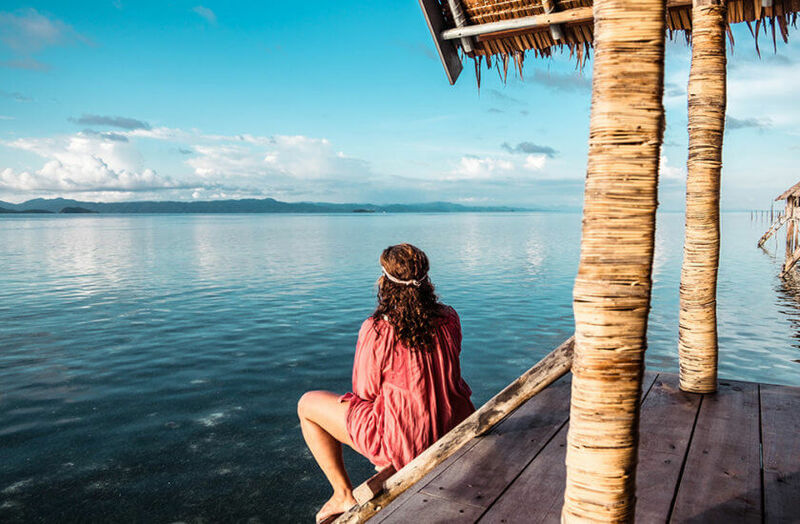 A highlight is a visit to Arborek village and, for those looking for the iconic Raja Ampat views, a trip to Fam Island. At night it gets quiet at Kri – that is of course if you don’t count the frogs, the wind and a bit of thunder. Sleeping here, even in a fancy four-poster bed, makes you feel like you are at the end of the world – in a good way of course! I also feel quite accomplished; after all, I have found a hidden paradise, a rare, almost blank spot on my non-existent bucket list map. 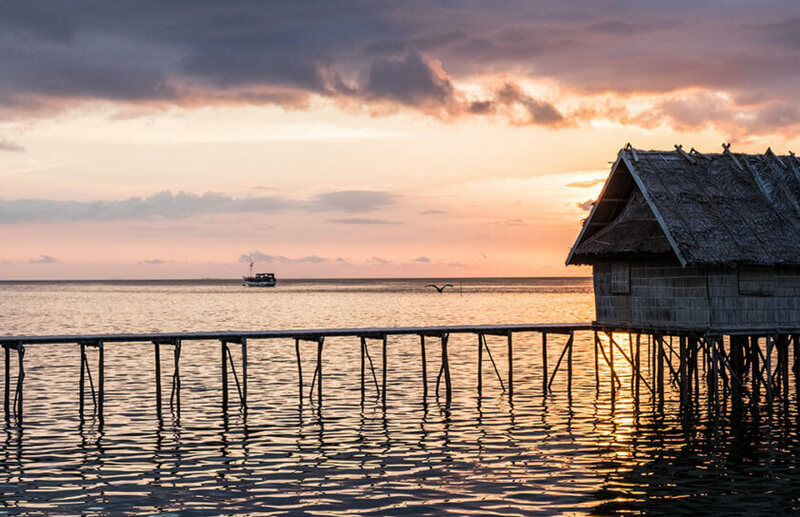 Garuda Airlines flies from Denpasar or Jakarta to Sorong with a layover in Makassar. I recommend you spend the night at the Ibis Hotel in the airport to get at least a few hours of shuteye. 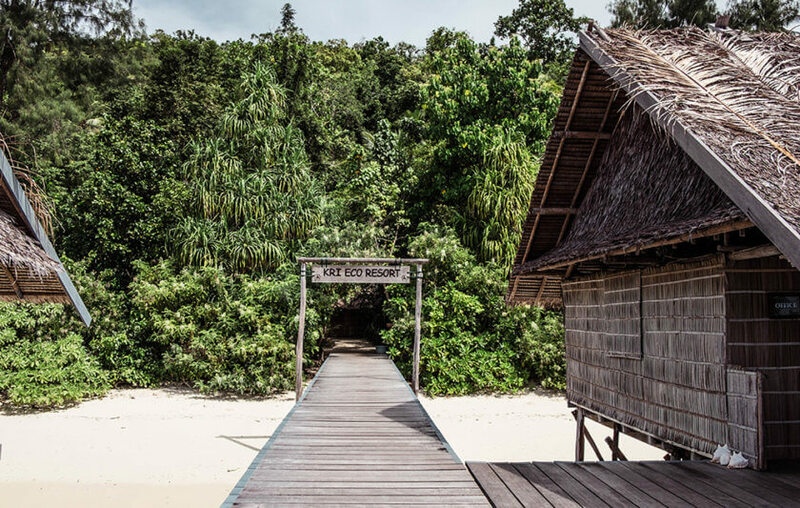 Kri Eco Resort offers weekly diving and non-diving packages that include a free transfer from and to Sorong (if you arrive during designated days and times), as well as meals and unlimited tea and coffee per day. 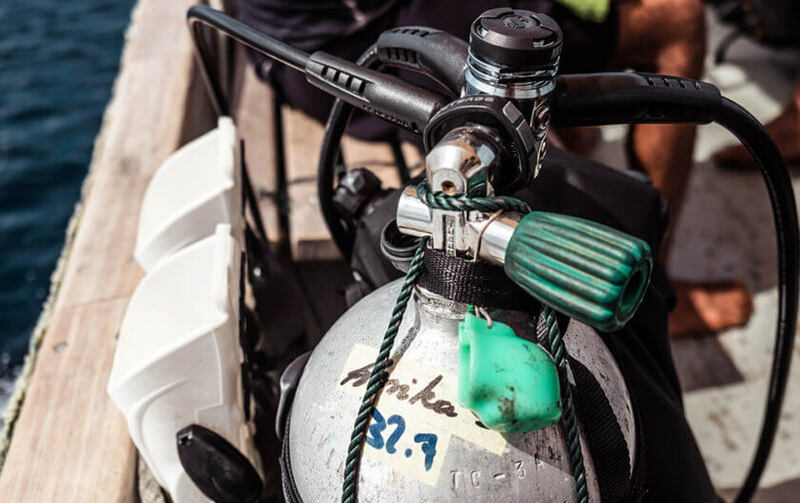 There are up to 4 dives per day included in the diving packages including weight, tanks and Nitrox if you are certified. Other equipment can be rented. 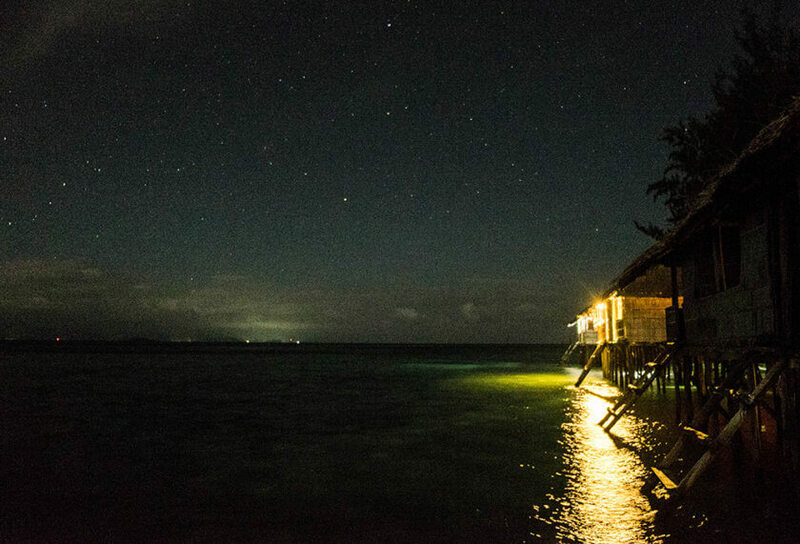 Depending on the moon and the dive site, conditions can be challenging in Raja Ampat. 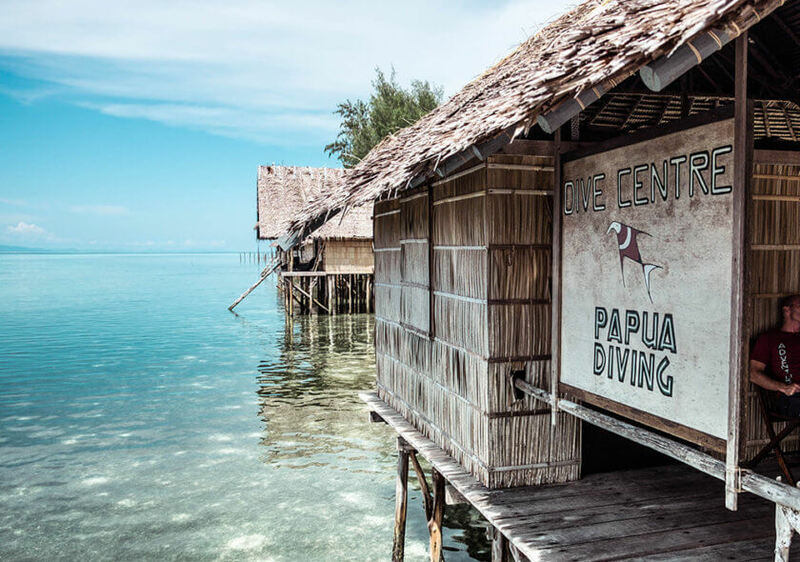 Therefore Papua Divers offer mainly advanced certifications and it is recommended to have some diving experience beforehand to get the most out of your dives. Kri has a little shop where you can buy any essentials you may need. However, the operative word is little – so get your snacks, favorite sunscreen, and prescription drugs beforehand – the next 7Eleven is quite far away. There is wifi at Kri but it is incredibly expensive once you have used up your allotted 500MB which is included. I recommend you use your stay to properly disconnect or alternatively get an Indonesian SIM card and use the 3G on your phone. 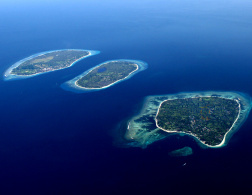 You will have to pay a IDR 1,000,000 Marine Park fee regardless of whether you are a diver or not. However, the permit is valid for one year so make sure to keep it in case you want to return. 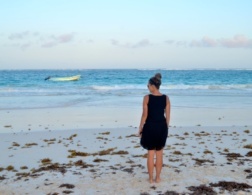 Thank you to Kri Eco Resort for hosting me for an amazing week! Sounds like a trip to Indonesia is in store for me. The cottages look stunning to photograph and stay at. Love that you included a mention for non-divers too. 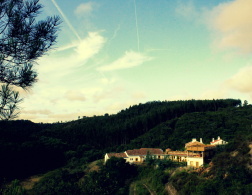 I have never heard of this place but it looks beautiful and sounds incredible, it’s no wonder you fell in love with it! We were in Indonesia this year but had not heard of this spot. Looks like a hidden gem :) Thank you for the tip!! This place is true paradise!!! I've only been to Bali and Gili T in Indonesia. I'm dying to go back and explore more!! Annika, thanks for the informative article and photos. That night sky over the sea - such a beauty! 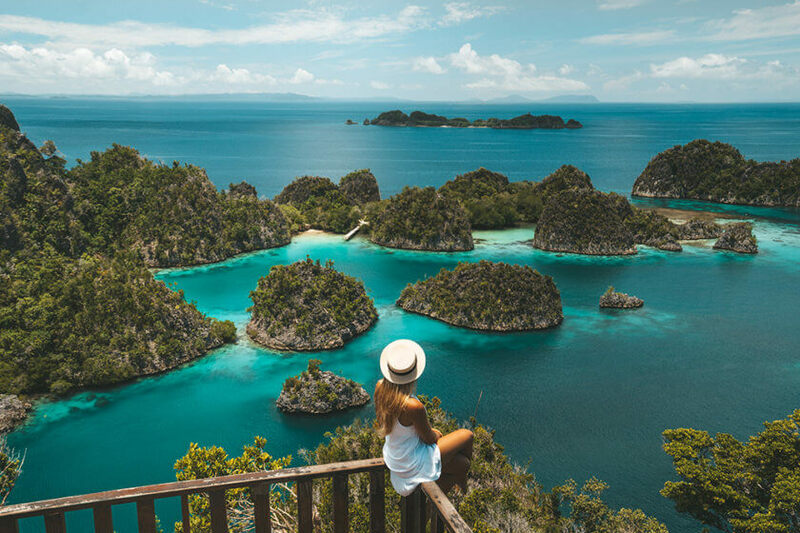 Raja Ampat is definitely the best kept secret of Indonesia ;) I'm an Indonesian, and I would love to visit this place one day.